Department of Mechatronics and Mechancal Systems Engineering, University of Sao Paulo, Sao Paulo, Brazil. Parallel mechanisms have been studied during the last two decades, due to the fact that they present some potential advantages in a comparison with serial structures. This work presents the kinematic analysis of a novel 3-dof asymmetric parallel mechanism, purposely conceived for milling applications. In a comparison with the previous proposed concepts, this type of kinematic structure shows some advantages. The architecture is simpler and lighter than Tricept because it has no central passive limb. In addition, only the central active limb needs to satisfy the parallelism and orthogonality conditions. Furthermore, one degree of freedom, associated to the third actuator, is decoupled from the other two. Important issues, related to this type of kinematic structure, such as position and velocity analysis, singularity occurrence prediction and workspace evaluation, are discussed in detail. "Open access will revolutionize 21st century knowledge work and accelerate the diffusion of ideas and evidence that support just in time learning and the evolution of thinking in a number of disciplines." "It is important that students and researchers from all over the world can have easy access to relevant, high-standard and timely scientific information. This is exactly what Open Access Journals provide and this is the reason why I support this endeavor." "Publishing research articles is the key for future scientific progress. Open Access publishing is therefore of utmost importance for wider dissemination of information, and will help serving the best interest of the scientific community." "Open access journals are a novel concept in the medical literature. They offer accessible information to a wide variety of individuals, including physicians, medical students, clinical investigators, and the general public. They are an outstanding source of medical and scientific information." "Open access journals are extremely useful for graduate students, investigators and all other interested persons to read important scientific articles and subscribe scientific journals. Indeed, the research articles span a wide range of area and of high quality. This is specially a must for researchers belonging to institutions with limited library facility and funding to subscribe scientific journals." "Open access journals represent a major break-through in publishing. They provide easy access to the latest research on a wide variety of issues. Relevant and timely articles are made available in a fraction of the time taken by more conventional publishers. Articles are of uniformly high quality and written by the world's leading authorities." "Open access journals have transformed the way scientific data is published and disseminated: particularly, whilst ensuring a high quality standard and transparency in the editorial process, they have increased the access to the scientific literature by those researchers that have limited library support or that are working on small budgets." "Not only do open access journals greatly improve the access to high quality information for scientists in the developing world, it also provides extra exposure for our papers." "Open Access 'Chemistry' Journals allow the dissemination of knowledge at your finger tips without paying for the scientific content." "In principle, all scientific journals should have open access, as should be science itself. Open access journals are very helpful for students, researchers and the general public including people from institutions which do not have library or cannot afford to subscribe scientific journals. The articles are high standard and cover a wide area." "The widest possible diffusion of information is critical for the advancement of science. In this perspective, open access journals are instrumental in fostering researches and achievements." "Open access journals are very useful for all scientists as they can have quick information in the different fields of science." "There are many scientists who can not afford the rather expensive subscriptions to scientific journals. Open access journals offer a good alternative for free access to good quality scientific information." "Open access journals have become a fundamental tool for students, researchers, patients and the general public. Many people from institutions which do not have library or cannot afford to subscribe scientific journals benefit of them on a daily basis. The articles are among the best and cover most scientific areas." "These journals provide researchers with a platform for rapid, open access scientific communication. The articles are of high quality and broad scope." "Open access journals are probably one of the most important contributions to promote and diffuse science worldwide." "Open access journals make up a new and rather revolutionary way to scientific publication. This option opens several quite interesting possibilities to disseminate openly and freely new knowledge and even to facilitate interpersonal communication among scientists." "Open access journals are freely available online throughout the world, for you to read, download, copy, distribute, and use. 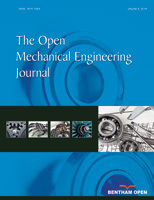 The articles published in the open access journals are high quality and cover a wide range of fields." "Open Access journals offer an innovative and efficient way of publication for academics and professionals in a wide range of disciplines. The papers published are of high quality after rigorous peer review and they are Indexed in: major international databases. I read Open Access journals to keep abreast of the recent development in my field of study." "It is a modern trend for publishers to establish open access journals. Researchers, faculty members, and students will be greatly benefited by the new journals of Bentham Science Publishers Ltd. in this category."